Pre-market data management is an uncommon practice in the nutraceutical industry. Yet this lack of clinical data management stifles nutraceutical marketing by producing insufficient data quality to support product claims. 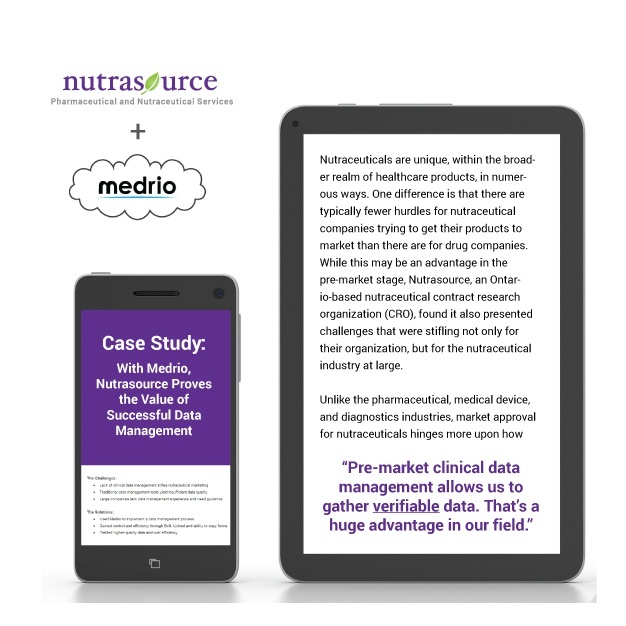 This detailed case study explores the advantages of incorporating data management into nutraceutical development programs and provides specific guidance and resources for use of the Medrio data management system.